Get to know Moraira like many other happy holidaymakers! Are you already in the holiday mood?! Of course you are! Take our advice and discover Moraira this summer! Maybe it is not the most famous resort and it is not the one that pops up in your mind straight away, but like many other holidaymakers we can guarantee you… You will love this place! Many tourist come back every year to this magnificent resort for the beautiful surrounding and the lovely relaxing atmosphere. So, leave the big grey buildings and the loud and busy boulevards behind you and enjoy the cosy and fabulous Moraira. Moraira offers many different highlights. And from your holiday home or villa from Club Villamar anything is possible. 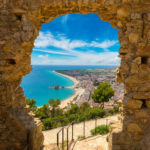 We are going to tell you the best 10 things to do and see in Moraira, so you’ll have an idea what we mean when we say… Moraira is the ultimate summer holiday resort for everyone! 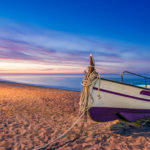 Visit these TOP 10 places and fall in love with Moraira! Don´t you just love to walk along a market and look at all the little stalls. 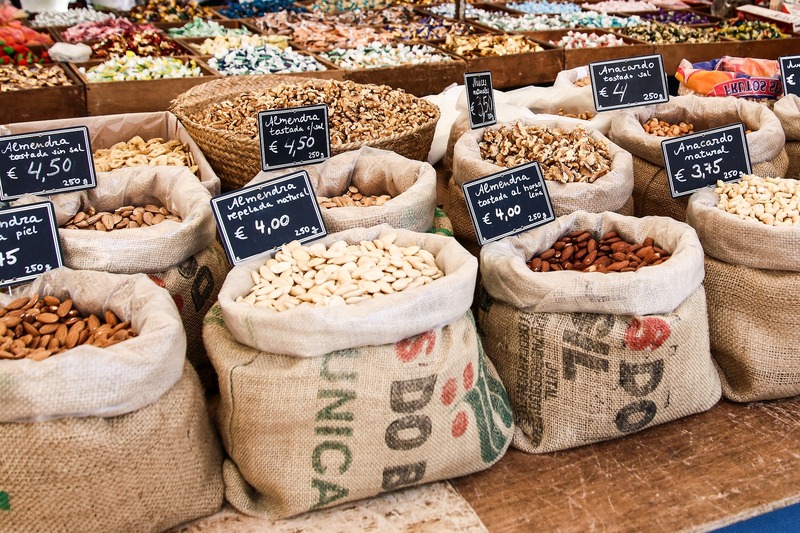 Every friday you can visit the famous market of Moraira. We’re very fond of this market. You can really shop here! Bags, clothes, jewellery, shoes, and even art prints. Well yes they are cheap knock-offs but your friends and family at home don’t know that! There’re also a few fruit and vegetable stands and real leather items, including purses, briefcases, travel duffel, wallets and belts! As we know, this market is very popular. Therefore, we advise you to go early in the morning, to avoid the crowds and the hot sun. 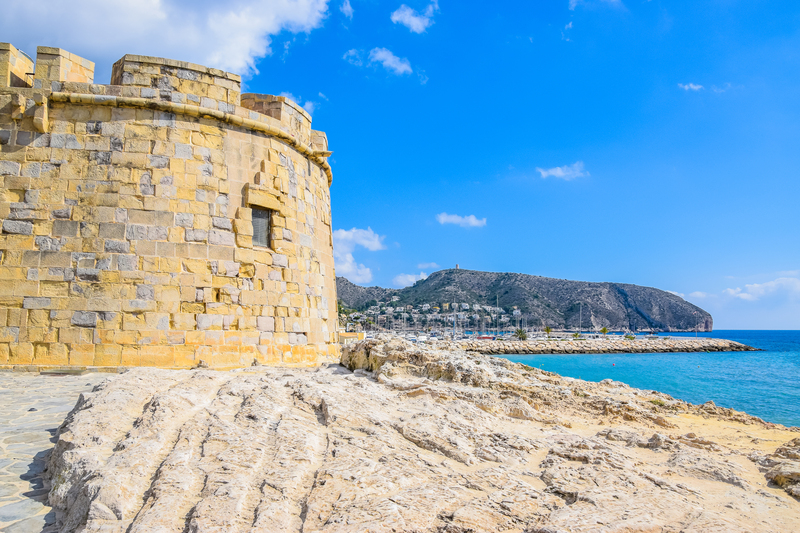 One of the most famous sights of Moraira and one you’ll definitely won’t miss during your visit, is the watchtower of Moraira. 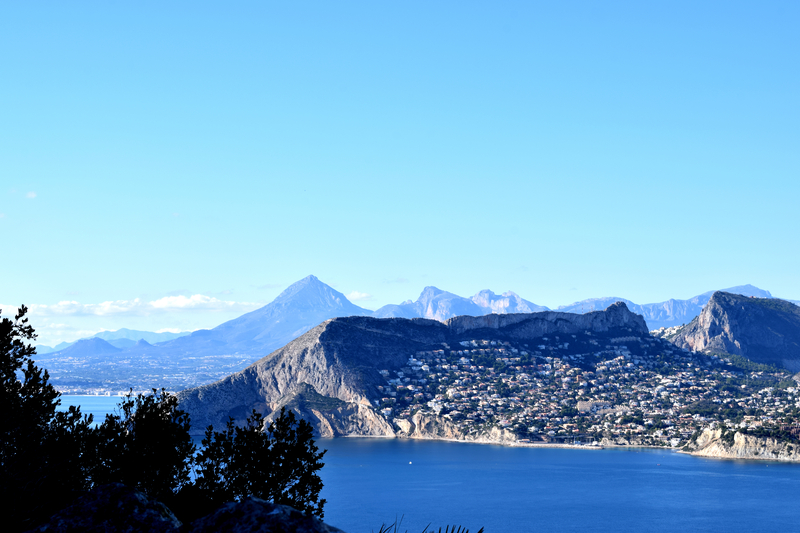 Take a nice and long stroll along the beautiful beach Plata del Portet and enjoy the surrounding around you. Follow the streets leading to Cap d’Or and there, at the highest point of the hill you’ll find the gorgeous old watchtower of Moraira Torre de Vigia. You can find some interesting history up there, because this ancient watchtower exists since 1553. So, make the walk and go up that hill, because believe us the view from the watchtower is really amazing! Moraira is the place to scubadive! Do you recognize the dream of diving in one of the most beautiful places of Europe?! 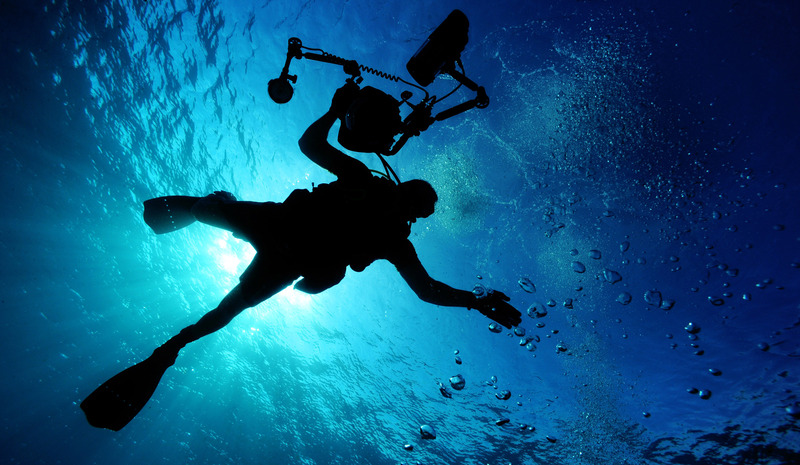 It doesn’t matter if you’re experienced or if you’re going to dive for the first time in your life. Moraira is a perfect place to dive for everybody. You can find several scuba dive schools where you can rent and buy all kinds of products you need to take a dive into the sea. Do you like to take a complete course? We would definitely recommend you dive centre Scuba Moraira it is the best one in town! So don’t miss out on this great experience and sign up! Put on your flippers and discover the beautiful underwaterworld. Are you going on holiday with your children? Then Terra Miticac is the place to go out for a day with the whole family! Because what’s nicer than a fun day in a theme park?! Just outside Moraira you’ll find the theme park Terra Mitica. It’s one of the most unique parks you will ever visit. Just imagine yourself in the ambience of the history and cultures of Egypt, Rome, Greece, Iberia and Las Islas. You’ll have the idea you’ll visit more countries in one day!! Go on board of the train in the fast wooden roller coaster or get wet or get wet in the splash attraction, and hop on the dark ride… Don’t get scared! For young and old a fun day out! Do your kids get bored with every day swimming and relaxing? Take them out bowling to Moraira’s new Bowling centre. Not only your children will enjoy it, but you as well. It might have been awhile ago that you had a little competition with your friends or family. Get into the excitement, put on those ugly but funny bowling shoes and rolllll that ball! Get into the grove with the lights and the music and play that game! Believe us when we tell you that for only (aprox.) 4.50€ per person it will be a memorable evening for everybody! 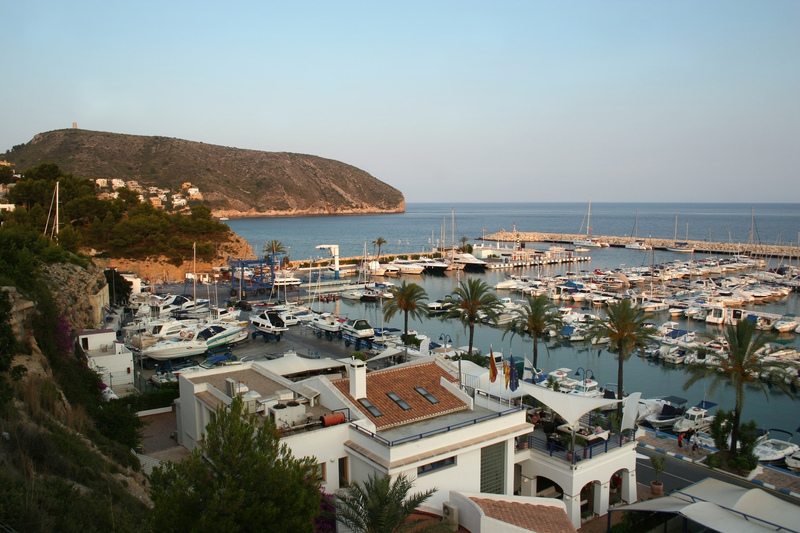 Take a look at all the fancy yaghts in the marina of Moraira. Don´t you just love to walk along the seaside, the fresh air, a nice breeze through your hair and the sounds of lovely birds tjirping around you. Then our number 6 of the top 10 is perfect for you! Stroll along the modern and large marina of Moraira. It’s one of the biggest on the Costa Blanca and it’s sheltered between the cliffs of Cap Blanc and Punta de Moraira. Walk along the Marina of Moraira and take a look at all the gigantic yachts. Dream away, like you’re on one of the yachts wizzing of at sea. You’re wearing beautiful evening clothes you’re and you’ve got a bottle of champagne in your hand, while you’re accompanied by rich and famous people. Well, a person can dream, no?! Ain’t it managable, one way or the other, to take your children to a big theme park?! Don’t worry. We can assure you, you can always make them happy!! Take them to the smaller, but fun amusement park in Moraira, which is located on the parking lot behind centro commercial Crystal March. It’s the perfect place for some amazing fun for the little ones. Just look at their precious little smiling faces, while they are enjoying the bumper cars, or when they spin round in the wheel. Maybe they like to jump on the trampolines? You’ll find all kind of attractions to give your kids a perfect and fun night out. Bring your camera because the view of Calpe is beautiful. Fancy a little road trip?! Open the roof of your car, turn on the music and throw the picknick basket on the back-seat. It’s time to hit the road!! Drive from Moraira along the coastal road through Benissa to Calpe. Believe us, it’s really one of the most beautiful routes of the Costa Blanca. 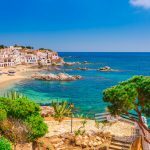 Yo’´ll see some beautiful views of the Mediterranean, from steep rocks and cliffs and idyllic coves to strip pine forests. Once you’ve arrived in Calpe, take the time to explore this little town, it’s really magnificent. We recommend you to bring your hiking shoes, because the climb on to the “rock” of Calpe is one thing you can’t miss out on during your visit. Are you interested in some real cultural sight of Moraira? Walk through the centre of Moraira and stop at the magnificent parish church. It is beautiful piece of work, which was built in 1875 in a rectangular shape. Don’t walk away when you’ve seen the outside of the church. Also take a closer look and go inside. You’ll really be amazed by the beautiful portrait of Virgin de los Desamparados and the two beautiful mosaics. This church is really worth a visit! 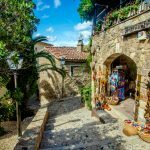 Do you like to visit a charming Spanish city? Only a 6km drive inlandfrom Moraira takes you to the historical city of Teulada. Walk along the narrow winding streets in the centre and discover the Moorish history of Teulada. While your there you should definitely try the famous Muscato wine of Tealada on one of the little terraces. Do you love to shop?! Let us give you a tip! Visit Teulada on a Wednesday. In the morning there’s a small marketin the streets of the old town. Are you already planning to go on holiday to Moraira? We bet you can´t wait to visit Moraira after our great TOP10! Moraira is one of the fabulous resorts at the Costa Blanca! But not only Moraira is a great place to visit, even the resorts in the area are fantastic to visit as well. Are you curious about what more there is to do in the Costa Blanca? We have got all the information for you here! Can you already imagine yourself, walking along the beach of Moraira towards the watchtower. Having fun with your children or friends at the bowling centre or go out shopping on the fabulous popular Friday market. And after a long day of exploring you are ready to relax at your private holiday home from The dream of Moraira is only 1 click away! P.S. 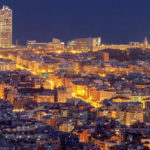 Would you like to read some more TOP10 about different places in Spain? Check out all our TOP 10s.